Home Opinion When did women become verboten? When did women become verboten? Segregation is growing in the Israeli charedi community states a recent JTA article, and with trends like “Mehadrin” Jerusalem bus lines, photoshopped images removing women’s faces and women donning burkas it’s difficult to refute the claim. Are women being banned from charedi society? Insular communities, by definition, tend to isolate; shunning modernity and technology are usually part and parcel of that isolation. But in recent years, the charedi world has seen a sea change, at least when it comes to media. 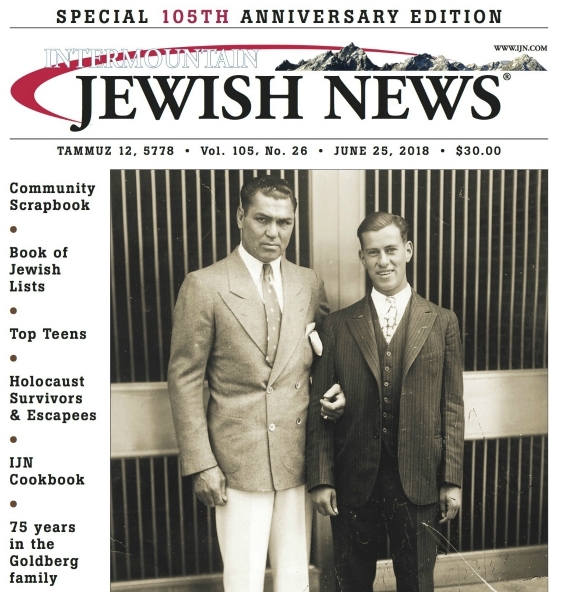 The high-quality glossy weekly magazines, whether it be Mishpacha or Hamodia’s Inyan, offer a unique opportunity to gain an inside view of a world difficult to access. While in some ways the picture offered may affirm pre-conceived notions about the ultra-Orthodox, in other ways, readers will be surprised. There is coverage of the outside world, smart political and social analysis, features on historical events than many have forgotten, profiles of rabbinic and lay leaders, creative recipes featuring quality ingredients and surprisingly honest advice columns. But where the magazines fail and reveal their narrow mindedness, is the banning of the female form. A moving obituary about a women will include photos not of the deceased, but instead of her father or husband, even though the article has made clear the woman herself is a role model in her own right. Why therefore, is she trumped by the males in her life? The women-oriented magazines, including Binah and Mishpacha’s Family First, make it clear that the charedi world recognizes women as important community members – or at the very least as customers, but even in these magazines depictions of women are verboten. An article about a woman overcoming a challenge will feature a male figure mountain climbing. Or a feature about autistic children will include pictures of boys, but not girls. Even an a vitamin ad, for example, will contain the image of healthy-looking boys with curly sidelocks attesting to the product – but no complementary rosy-cheeked little girls. The issue famously came to a head earlier this year, when the chassidish newspaper Der Tzitung published an official White House photo – but an altered version, theirs without Secretary of State Hillary Clinton. Their editorial board claimed that the laws of modesty prevented them from publishing a picture with the female form, but when did Orthodox Judaism become fundamental Islam? The JTA article talks about the disturbing growth of women donning “a poncho-type garment intended to make the female form as shapeless as possible”. Although this remains a small group, why is wearing a burka gaining any traction at all? About the segregation on buses, one woman said, “The temptations men feel are great, and it’s hard for them not to look at women. Sitting separately helps them not to look.” Because men have no self-control? That kind of argument discriminates against both men and women. What’s your view? Are women discriminated against in the religious world? Post a comment here or on our Facebook page. As far as the “burka” is concerned, this is not gaining traction. It’s not an important topic. One, it is ironic that the female form is absent from the haredi publications. This is because haredi society looks to the great Torah scholars as its leaders and makers of policy. However, this business of no women in haredi newspapes and magazines is driven by the editors. I don’t know whether there is even any agreement to this by the Torah scholars, but if there is, it is after the fact. The editors violate their basic philosophy by making the policy themselves. This is the tail wagging the dog. Show many a single written ruling by a single major Torah scholar approving this policy IN ADVANCE. I don’t think it ever happened. That it is the non-major Torah scholars — the editors — making thesse major policy decisions for haredi society is, as I say, ironic. And very disturbing. Second, see the wonderful column by Rabbi Fried in the IJN a few weeks ago, outlining the difference between Islam and reliious Judaism — the fact that the face is the window to the soul, and that those segments of Islam that hide the women’s face disrespect the soul of women, whereas Judaism does not hide the woman’s face. That’s in real life. In the haredi media, however, the women’s soul is cut off. Again, see Rabbi Fried’s column. He said it better than I am. As far as the buses are concerned, I would have no problem if the buses were half and half: half of the buses the women sat in the front, and half in the back. For it is legitimate to cut off temptations for men, and it is admirable for women to understand this — hence, the gender segregated buses. The discrimination comes in only by virtue of always putting women in the back. Simple solution: Put them in the front, on half the buses. This Israeli trend has become increasingly disturbing to me and threatens to widen as a rift within the Orthodox community in America. At certain ultra-Orthodox, or hyper-observant events in my community where a DJ would perform, the female singing voice has been proscribed to be heard publicly unless it be at a strict gathering of women only. Once again the argument used here is that men lack self-control and could be tempted. That sort of logic is an insult to the intelligence of both men and women in my opinion.